Are you a student that meets Google’s eligibility criteria, who is interested in contributing to an Open Source project this summer? Google’s Summer of Code 2009 is on, and once again, the Tcl community has been accepted as a mentoring organization, which includes AOLserver. Students can apply until the deadline of 19:00 UTC on April 3rd. If you have any questions about GSoC or AOLserver’s involvement in it, please ask me! I’ll try to help answer whatever questions you might have. Good luck to all the students and mentoring organizations this summer! As much as people wonder “who still uses Tcl?” or “what the heck is Tcl?” … it’s still alive and well and under steady new development. The long-awaited release of Tcl 8.5 happened this past December 20, 2007. You can download it from here. The discussion on Slashdot about it shows that there’s still a lot of misinformation and outright FUD being spread about Tcl, now 20 years old. Of course, the Tcl community seems to focus more on excellence in engineering than evangelism and PR, so Tcl will likely remain “a well-kept secret, sitting out in plain sight” for the next 20 years. For people who are already familiar with Tcl but would like to know what significant changes were introduced in Tcl 8.5, Michael Cleverly has a fantastic write-up on it. I highly recommend reading what he wrote if you’re looking to take advantage of Tcl 8.5’s new features. Inside the tcl-mysql-udf-0.2-dll.zip will be the file tcl-mysql-udf.dll. On MySQL 5.0.x, it expects it to reside in the Program Files\MySQL\MySQL Server 5.0\bin directory, so copy it there. 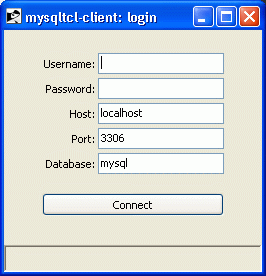 On MySQL 5.1.x, however, it expects it to be in the Program Files\MySQL\MySQL Server 5.1\lib directory. Pay close attention to what version of MySQL you’re using and the correct directory to copy the DLL into. So what, right? 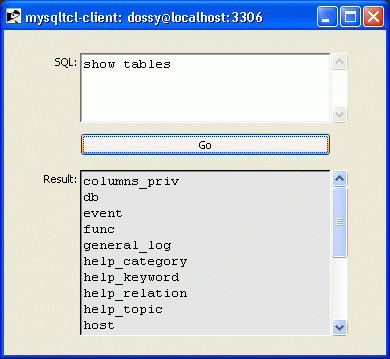 How about fetching HTML documents via HTTP, right from within MySQL? This query uses the Tcl “http” package to fetch the documents specified by the url column and plucks out the <title> tag using a regular expression. The TCL() stored function takes a variable number of arguments, the first being the Tcl script to evaluate, followed by zero or more arguments that are placed into the $args Tcl variable. In this case, we pass in “url” so that on each row, we execute our Tcl script with the value from that row. Be aware that this stored function is a security issue: allowing database users to execute arbitrary code has obvious risks, especially since that code will be executed as the user that the MySQL server is running as. Hopefully this is enough to get you started and might even give you an idea as to how this could be useful to you in some way. If you have any questions, just leave them in the comments below. 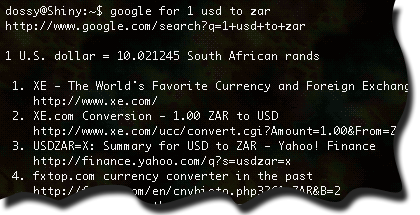 Well, after a few hours of productive coding and hacking, I want to share tcl-mysql-udf-0.1.tar.gz with you. I’ve done very limited testing on this and on very little sleep, so I wholly expect there to be really stupid mistakes in there–but, it does “work” on my personal Debian 4.0 Linux and MySQL 5.1.20 setup with Tcl 8.4.12. If you want to play around with this, I strongly urge you to read over the README included in the tarball, as it should have all the relevant bits of information necessary to get you started. Currently, Tcl errors result in the function returning NULL–I haven’t figured out how to propagate the error string back up, yet. Also, the maximum length string that the function can return is currently hard-coded to 255 characters. I implemented the function as accepting a variable number of arguments, the first being the Tcl script, followed by values that get appended to the $args Tcl variable–as though it were a Tcl proc call, in a sense. If you’re familiar with Tcl and MySQL and aren’t afraid of compiling something and fooling around with it in your dev playground, I’d love to hear what you think of this code. Can you see any use for it? What else would it need to be able to do before it would be useful to you? Thanks to the Tcl thread extension, you can use threads within your Tcl scripts with a thread-enabled build and this extension. There’s also a Tcl binding for Berkeley DB (BDB) available, as well. But, what if you want to combine the two, and access the same Berkeley DB from multiple threads in Tcl? Since Berkeley DB is free-threaded (or thread-safe), this should be simple, right? You’re right, it should be but it was pretty non-obvious, to me at least. It’s not a bug, it’s just an undocumented feature! You’d think this would work, right? Naturally, what’s happened here is that two threads have attempted to use the same environment, and when the second thread does it, it invalidates the environment for the first thread, resulting in the “NULL db info pointer” error. Fine, I wouldn’t expect this to work for just this reason, so lets try to create the environment once and reuse it in the child threads. We’ll use tsv‘s (thread-shared variables) to share the environment handle across threads. Illegal? I’ll show YOU illegal! Aha! The villain is revealed! ## Create our threads, making sure Db_tcl is loaded. So, this is how the story ends. It is possible to use BDB across multiple threads in a Tcl application, with the restriction that all threads that will load the Db_tcl package must be created and initialized before you create environments and probably any other operation that relies on the __dbtcl_global structure, as it gets initialized on package load and the single global is shared across all threads. Presumably, this might be considered a bug, in that the structure should probably only be initialized once per process rather than every package load. My recommendation would be to load the Db_tcl package in a single-threaded environment (before any additional threads are created) to ensure that only one thread initializes __db_infohead, then you can freely create threads and load the Db_tcl package in them without each package load re-initializing the __db_infohead. If this was helpful, feel free to let me know in the comments below. Or, if you have any questions, ask those too! customer demand for multi-threading the Tcl API. include a statement that says it does not support multi-threading. So, if you’d like to see full threaded support in Tcl for Berkeley DB, leave a comment below and we’ll see what kind of demand really exists for it. In the meantime, I might try to work on it myself, just in case.